This year Father's Day falls on 21st June. I always find it hard to come up with new ideas for gifts, there's just so many things out there what on earth do you buy? For a couple of years now the boys have wanted to make something for their dad, and I'm sure this year will be no different. It's always nice for them to put the effort in and make something they think their dad will like. 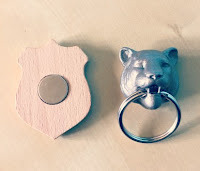 At the same time there's always those little gifts, whether they're joke gifts or just novelty ones, that add a little something to the hand-made gifts. 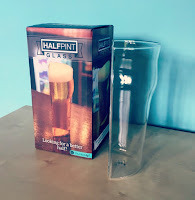 For any beer-drinker there's the half-pint glass. 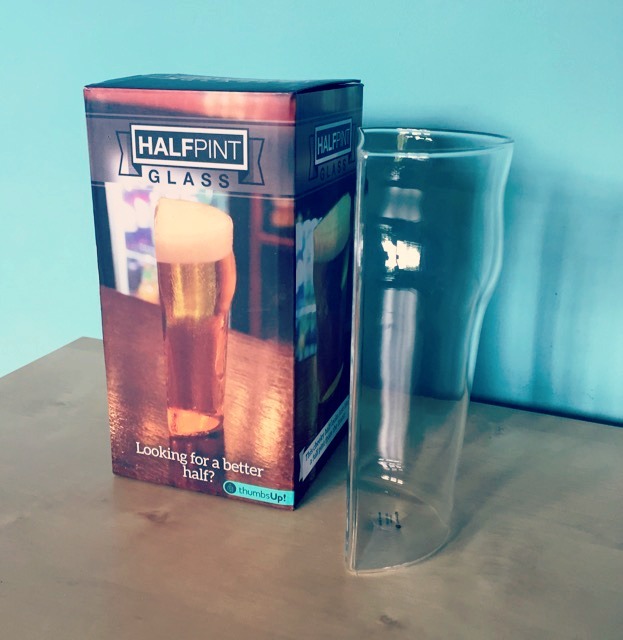 This glass looks like a full pint from the front but from the side you can see it's a pint glass sliced in half. Big Prince thought this was great and wants one for himself! At £9.99 it's a great little present that is dishwasher safe (bonus). 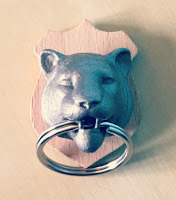 If your other half is someone who often loses his keys then this little gift might be the thing you're after. The Animal Key Holder is magnetic, its back sticks to the wall and you can attach your keys to it on arrival at home. 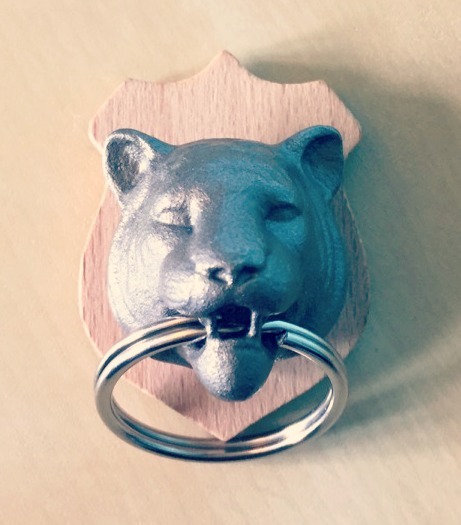 Thereby never losing your keys again. Genius. The Hubby sits in the lounge when he's working, his iMac is set up on the dining table. That has become his office space. Throughout the day I take him cold drinks, pint glasses filled with ice and soda. It never occurred to me that having a flask filled with a cold drink would save me numerous trips up and down the stairs. This Vinnebago from IWOOT.com is perfect. It costs £29.99 and can keep cold drinks cool for up to 25 hours, it can maintain hot drinks for 12 hours. 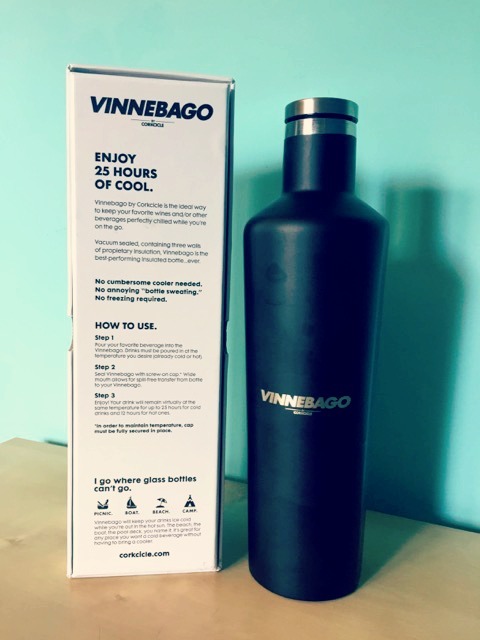 The Vinnebago can fit a whole bottle of wine in it so it could be useful for those romantic picnics this summer! Never mind the Hubby, I might have to steal that Vinnebago for myself and fill it with coffee. IWOOT.com have a great selection of Father's Day Gifts this year, from construction kits to table lamps. Why not check them out? I was sent the products listed for the purpose of this post. All opinions are my own.